I seem to be on a desserts stretch the past few posts during Adar 1 & 2! With Purim starting in a couple of days, I assume people are busy preparing their mishloach manot. I hope you enjoy the following recipe for vegan hamantaschen, that I wrote for the Borough Market website. 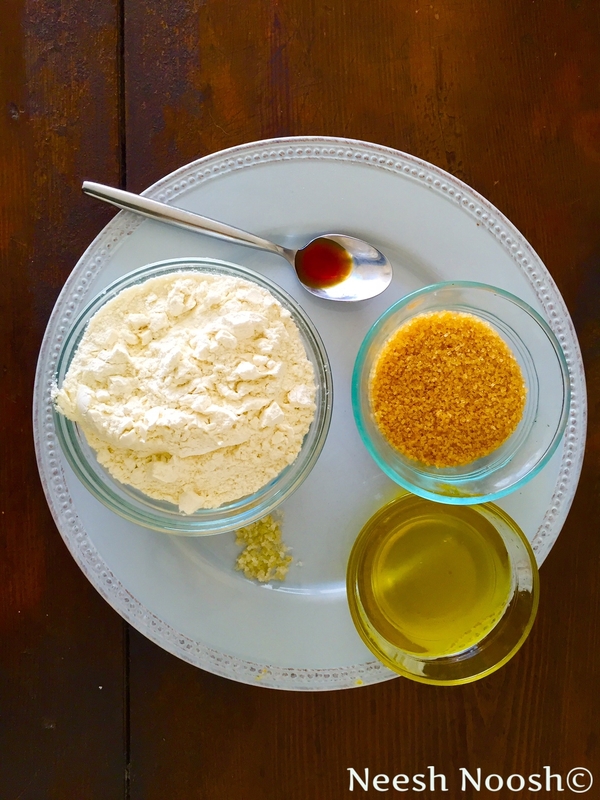 It is a modified version of a recipe that I found on the blog, Musical Assumptions). I filled them with my date paste and strawberry jam recipes. 2. Mix all of the ingredients together, slowly adding the milk last. Knead the dough for a couple of minutes until smooth. 3. Roll the dough out on a floured countertop of board until thin. Cut into circles (use a mug or glass to make the circles in the dough. It should give you enough for about 15 small hamantaschen or 10 larger ones. 4. Place a teaspoon of the filling in the middle of the dough. Fold each into a triangular shape, pinching the corners closed. Place on parchment paper lined tray. 5. Bake in the oven for about 15 minutes, until lightly golden. Remove, let cool and enjoy. 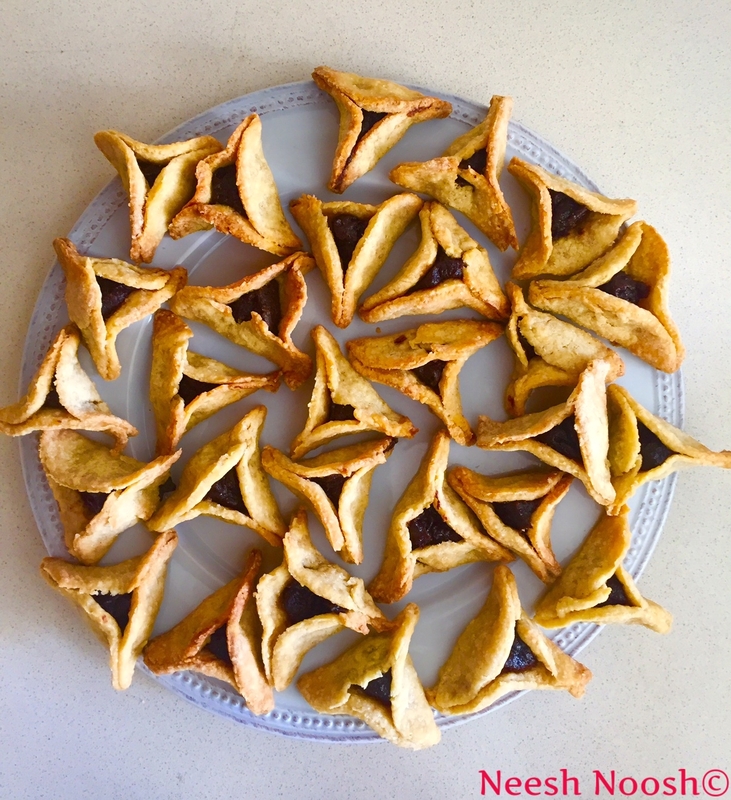 This entry was posted in Adar, Dessert, Holiday, Purim and tagged Adar, food, hamantaschen, Holiday, mishloach manot, Purim, recipe, vegan, vegan hamantaschen by Sarah Newman. Bookmark the permalink. I’m reminded of making hamentaschen with you a few years ago. Thanks so much and glad you reached out out. Great to know about your blog as well-I will look at it! great-I hope you enjoy it and get to make it with the kids in VT! Very tasty indeed, as always special and so different, thank you. I love the idea of a Vegan Hamantaschen recipe. These look so good and I might just have to make a batch today for my family. Great and i Hope you enjoy them!! Yum, as always your blog makes things look yummy and beautiful. I’ve made hamentaschen once and it was vegan too, but I think I used almond flour or added almond extract which gave it a nice taste. Wish I could try the ones you made.